I made a mental note and recreated it when I got home and this is it. To some it might not seem anything special, but to me it has lovely proportions and is completely timeless. I have put a very plain toe cap Oxford upper on it, typical from that time and still relevant today. 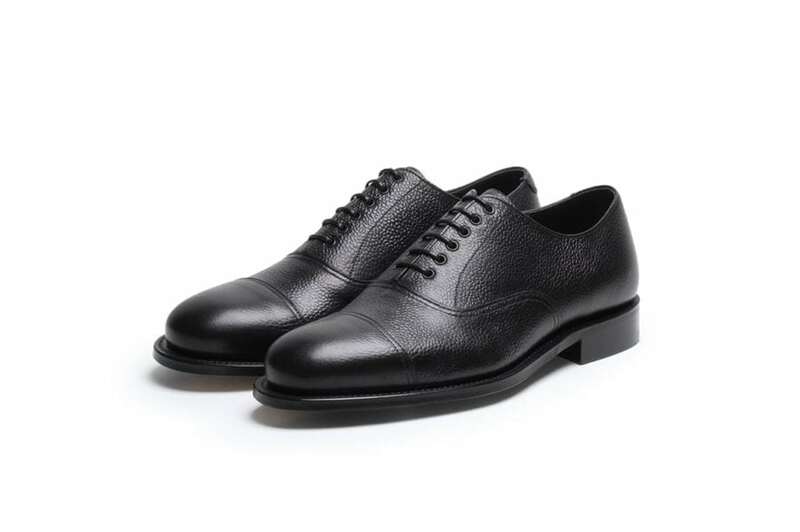 A beautiful English toe cap oxford in black pebble grain leather.